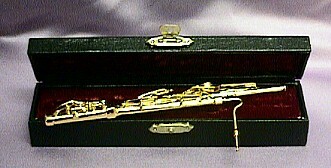 instrument, perfect for the collector. 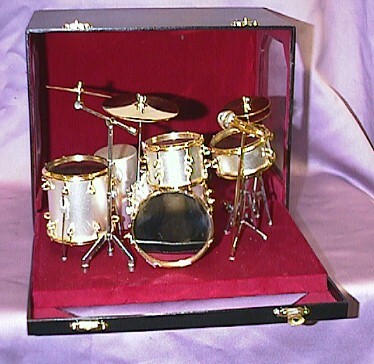 What a wonderful unique gift for that drum player or for anyone who just loves the drums! Includes it's own wood & rich red velvet lined case with a viewable window. 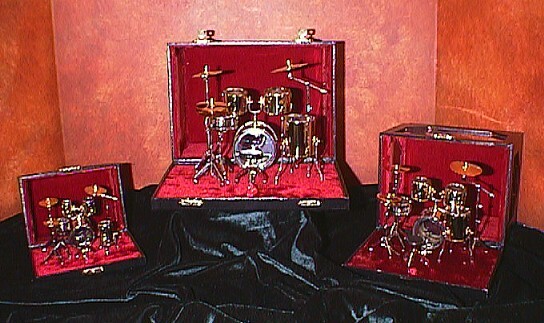 Case opens to display the drum set. This miniature sized Wooden Upright Musical Piano is simply beautiful. It has a cherry wood finish and comes in a black box lined in rich red velvet. You can also get this beautiful piano without music. 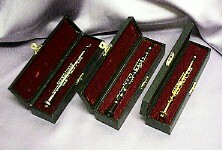 Absolutely stunning these miniature Brass Trumpets with a hardwood rich red velvet lined case. Looks just like the real instrument! The large one looks playable! Great gift idea! Here is beautiful collection of Miniature Brass Drum Sets in 3 different sizes. Each one includes it's own wood & rich red velvet lined case with a viewable window. 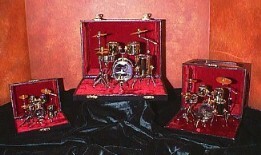 Case opens to display the drum set. Great gift! 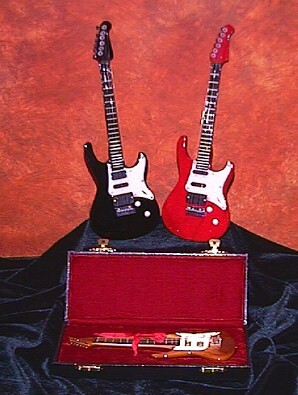 Adorable miniature guitars with their own rich red velvet lined cases and a guitar stand with some models. This item makes a great gift for almost anyone. Very Attractive! 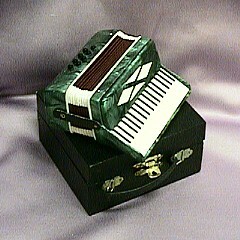 Available in four sizes 3", 6", 8"
Wonderful gift for the collector or the musician in your life! The Miniature Cello looks just like the real instrument. This Item is available in three sizes. 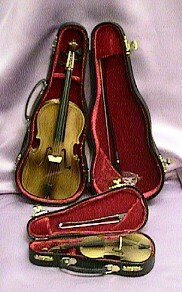 The Cello comes with a bow and a case lined in rich red velvet. Hand crafted with wonderful detail! Here is a gift any musician would love! 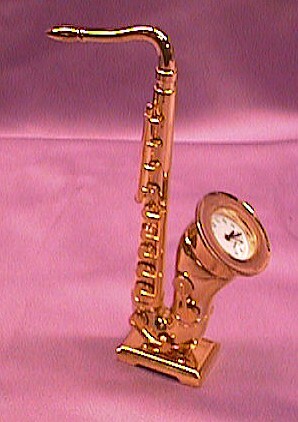 Unique design saxophone clock featuring a Japanese movement for accurate time keeping. Batteries included. Approx 5" Tall Self Standing Heavy Piece. 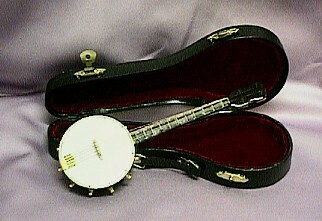 An adorable miniature Banjo with it's own banjo case ...velvet lined! Incredible detail, hand crafted. Available now in two sizes! 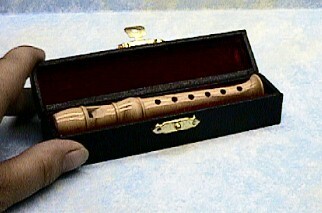 This Wooden Recorder actually plays just like the real instrument. Comes with a velvet lined case. Makes a great gift for anyone. NEW! Made from solid wood with a lacquer finish. Comes with rich red velvet lined cases, available in two colors. Please click the drop down list to make your choice. This adorable Tuba miniature clock will capture anyones heart. Japanese quartz movement will be sure to keep you in time! Great gift idea, Very well made! little bench that is also made out of cherry wood. Bench included with all sizes. This Piano comes in three sizes,large, medium & small. An affordable gift for the pianist in your life! 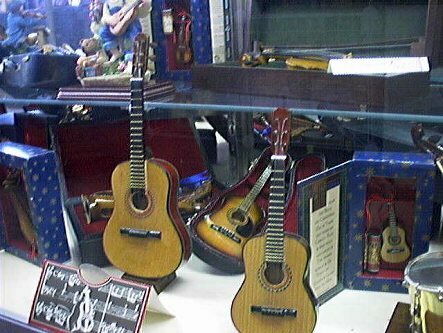 These Miniature violins look just like the real instrument. Hand crafted with fabulous detail! This item is available in five sizes. 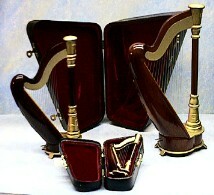 Includes a rich red velvet lined wood case, bow, bridge and chin holder. Great gift for the serious collector or for any special occasion! The Miniature 6" & 10" Bass looks just like the real thing. The Bass comes with a bow, and a rich red velvet lined black case. Hand crafted, incredible detail! The perfect gift for all ages and occasions! Please click on drop down list to choose your size. 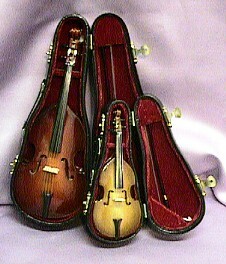 This quality solid wood Miniature Mandolin is adorable. Available in two sizes complete with rich red velvet lined black case. The instrument is hand crafted with incredible detail! The Miniature Harp w/Case is a wonderful gift to give. It is made out of solid wood & the case is lined in a rich red velvet! The detail is fabulous, it really looks like the instrument! Miniature Brass Sousaphone with Case! 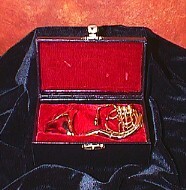 Features a rich red velvet lined case with brass hinges. 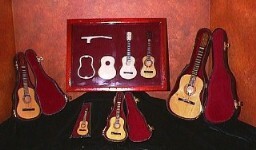 Here is beautiful collection of miniature guitars in different sizes. 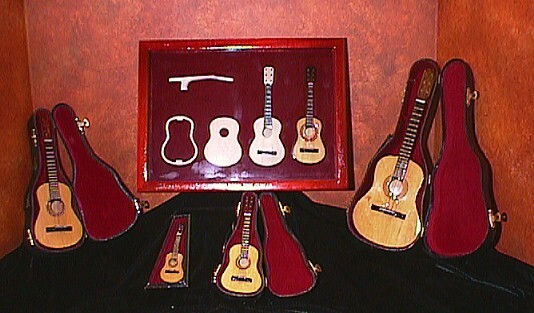 Each one created in wood, just like the real instrument! Includes a rich red velvet lined black case. We offer 3 sizes to choose from, please click the drop down list. A wonderful gift for collectors! 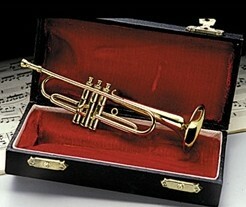 Absolutely stunning this 5" miniature Brass Trombone with a hardwood rich velvet lined case. Absolutely stunning the detail on this miniature lute. 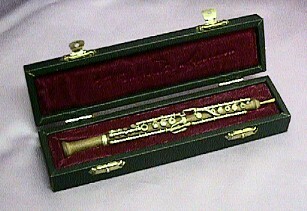 High polished mahogany sections make up the bowl of the instrument, complete with a rich velvet lined wood case! Hand crafted, great detail. These adorable miniature flutes are available in three sizes. Made of brass and each one comes with its own rich velvet lined black hardwood case. 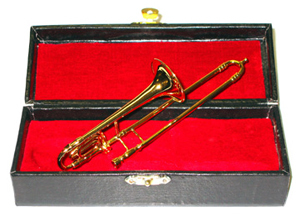 An adorable miniature Brass French Horn with it's own rich red velvet lined hardwood case! Fabulous detail. 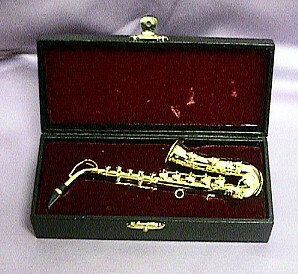 An adorable miniature 7" Brass Saxophone! Featuring it's own rich red velvet lined hardwood case. Incredible detail went into the making of this fabulous instrument, perfect for the collector. Makes a wonderful gift for the musician in your life! An adorable miniature 6" Brass Bassoon!